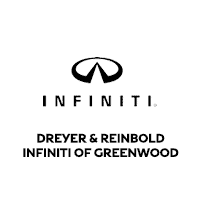 At Dreyer & Reinbold INFINITI of Greenwood, we maintain a comprehensive inventory of genuine, OEM INFINITI parts for all of your INFINITI service and repair needs in South Greenwood, IN and the surrounding areas. Our certified technicians know exactly what parts your INFINITI needs and can make the necessary repairs to get your INFINITI running like new again. Looking for a part we don’t carry? We can order any INFINITI part that you need in a timely fashion. Simply fill out our online form, call or visit our INFINITI dealership in South Greenwood, IN for all of your INFINITI parts inquiries. Be sure to check out INFINITI parts specials for the best deals today.